Black History: "Go Do Some Great Thing"
Description: February is Black History Month! At GVPL's kickoff event, there will be an introduction and a viewing of the documentary film about the early Black pioneers of BC entitled, “Go Do Some Great Thing”, produced by Anthony Brown and based on the book of the same name by Crawford Kilian. The film will be followed by a question & answer period, announcements of other upcoming Black history events for the month, and an opportunity to view many Canadian and BC Black history displays. Presented by the BC Black History Awareness Society. Register online or call your local branch for more information. Registration begins January 2. North Vancouver's own guru of creative writing was born in New York City and grew up in Los Angeles and Mexico City. He returned to NYC for college, did two years in the US Army at Fort Ord, worked as apprentice tech writer in Berkeley, moved to Canada with his wife in 1967, stumbled into teaching and found that he loved it. He has been at Capilano College since it opened in 1968, and ha has also taught in China. Author of many books and articles, his current projects include two novels and articles for online journals. 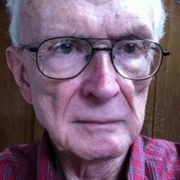 Crawford Kilian is currently considered a "single author." If one or more works are by a distinct, homonymous authors, go ahead and split the author. Crawford Kilian is composed of 4 names. You can examine and separate out names.